It's Friday, and that is the most exciting day of the week because it means we get an Other Side preview! This week we take a peek at the Crow Runners, an Abysinnian unit. This is one of the units that is included in the Abysinnian Allegiance Box. Let's take a look! on disrupting their foes to weaken them before the main Abyssinian forces hit. 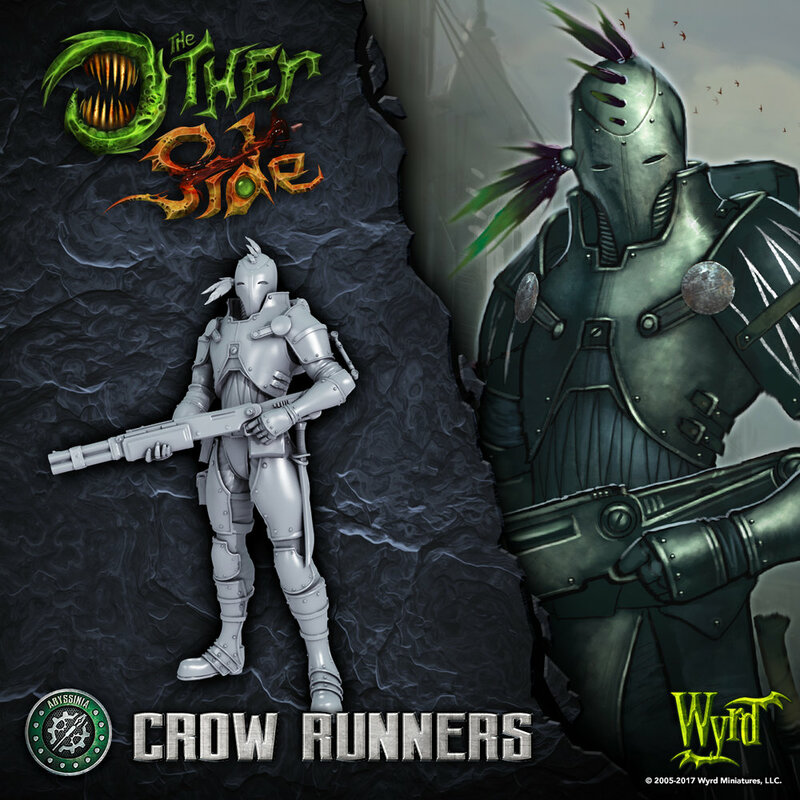 On the tabletop, Crow Runners are one of the cheapest combat units available to the Abyssinians. They are well balanced, offering speed, defenses, and a variety of forms of attack. This Squad works well on the fringes of the battle, harassing enemy troops and hitting the enemy early to disrupt their plans. These skirmishers are sure to be a hit (and run) on the table! Head on over to our forums to discuss!